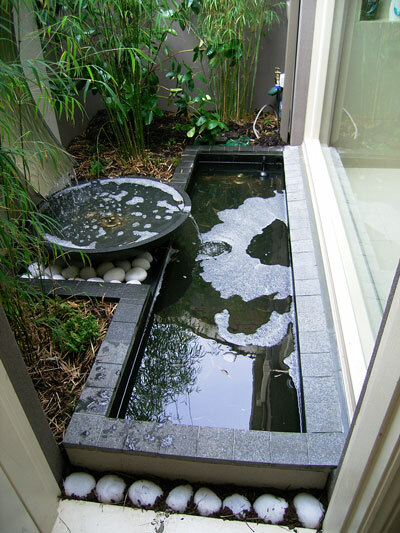 This project proves that you don’t need a big space to enjoy a water feature. This design fit snugly into a miniature interior courtyard framed by a large window from the master bedroom ensuite shower. It has transformed an external dead space into a vision of peace and tranquility to be enjoyed from the comfort of their home. 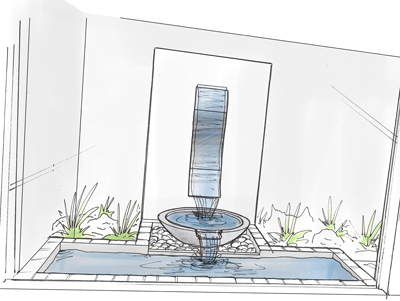 We worked closely with Australian Quality Landscapes to design and manufacture a water feature which would make the most impact in the small space. We interpreted their vision into a 3D design sketch of what we could create. The water feature was built as one modular unit with tanking and plumbing prefabricated offsite for an effortless installation. The lower base pond and backdrop wall were brought in as two separate components which was easily fitted into the small courtyard over the back wall. 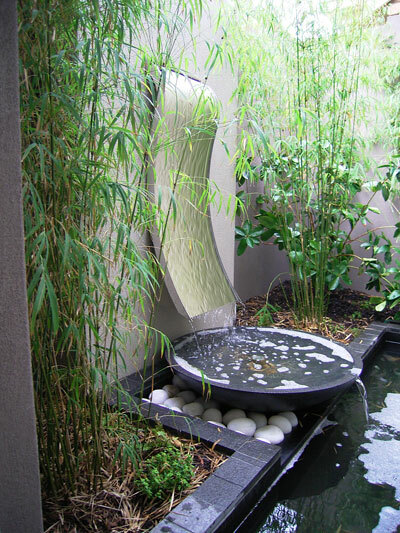 This compact water feature design includes a unique curved water wall and two tiered pond. The components are manufactured from LICOM76™, a lightweight concrete composite, allowing the unit to be lifted easily over the back wall, which was the only access point. All components were designed and manufactured to suit the project requirements.